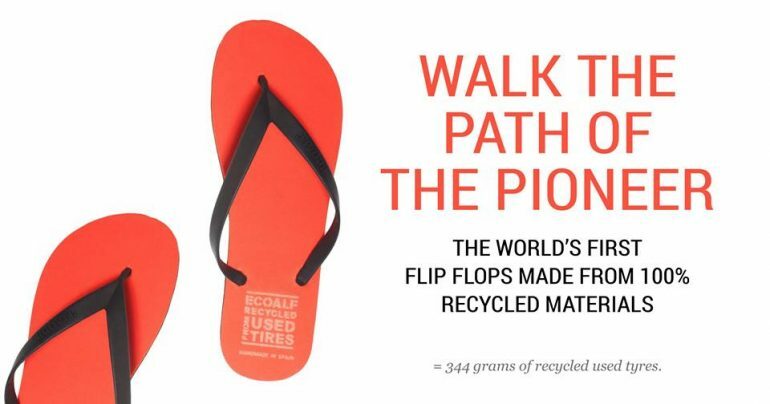 Two years of research and development have resulted in the first ever flip-flops made from 100% recycled materials. Working closely with the La Rioja Footwear Technology Centre, Ecoalf have developed a process capable of moulding rubber particles from recycled tires without using any adhesives or harmful chemicals. This means that in contrast to other flip-flops produced from up-cycled materials, the Ecoalf flip-flops are 100% pure recycled rubber and, being manufactured by a ‘closed-loop’ process, are truly sustainable. The flip-flops are hand-made in Spain and we’re pretty sure they’re the smart person’s choice of footwear this summer. ECOALF SOURCES ITS USED TYRES FROM SIGNUS, A NOT FOR PROFIT WHICH HANDLES USED TYRES FROM SPANISH MANUFACTURERS SUCH AS MICHELIN AND CONTINENTAL. 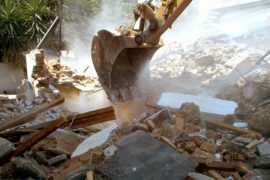 TYRES ARE COMPLEX TO RECYCLE AND PIECES OF TEXTILE (SHOWN IN PICTURE) MUST BE SEPARATED OUT TO OBTAIN RUBBER CHIPS.